ISLAMABAD (AP) — A provincial government in Pakistan has released former prime minister Nawaz Sharif, his daughter and son in-law on parole after Sharif’s wife died at a hospital in London. Mushahidullah Khan, a spokesman for Sharif’s Pakistan Muslim League party, said Sharif, Maryam Nawaz and Mohammad Safdar were temporarily released from a prison in Rawalpindi early Wednesday and flown to the eastern city of Lahore. 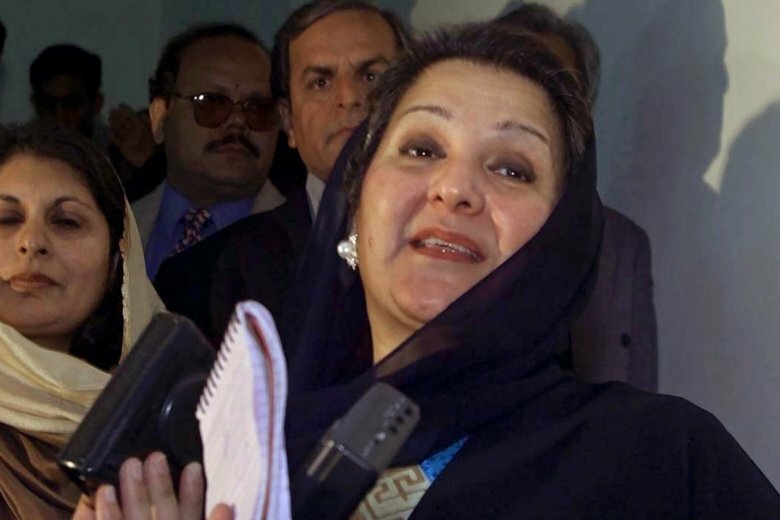 Kulsoom Nawaz was suffering from throat cancer. She died early Tuesday in London at the age of 68. Her funeral is likely to be held in Lahore on Friday. Sharif and his daughter and son-in-law are serving 10, 7 and one-year sentences respectively in a corruption case. The Supreme Court last year disqualified Sharif from holding office and later an anti-graft tribunal convicted him and his relatives.